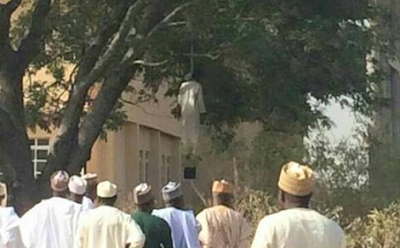 A 300-level student of the Abubakar Tafawa Balewa University, Bauchi, on Friday morning reportedly hanged himself. The deceased, Dahiru Adamu, 30, was said to be a student of the Department of Technology Education at the institution. He was found hanging from a tree. The incident was said to have occurred at the Gubi campus of the school along Kano Road. A student of the institution, who spoke on a condition of anonymity, told Saturday Punch that the body of the victim was left hanging from the tree for about two hours before it was brought down. He said, “I got to school on Friday morning only to find out that a student had hanged himself in the compound. “I saw the vice-chancellor and some management staff members at the scene with an ambulance parked by the side. I believe they were waiting for the police to arrive. Confirming the incident, the Public Relations Officer of the Bauchi State Police Command, Kamal Datti, said it was the Chief Security Officer of the university that informed the police about the incident. He said, “Our men immediately swung into action, removed the body and deposited it at the mortuary at the Abubakar Tafawa Balewa University Teaching Hospital.